What do sailors do during the winter months when the snow flies and the temperatures drop below freezing? Some sailors go skiing to feel the wind in their face, both cross country and downhill. I can identify with that because I have done both. Cross country being the most like sailing in that you set your own course and you are away from the crowd. I now do a lot of reading, boat maintenance and some thinking. This winter I have been working on my 14 footer and crewing for some races. Two of the boats I crewed on were a J29 and a Pearson 30 both boats ran spinnakers with rail weight 6-7 crew members. It has been enjoyable but reflecting on this sailing I think about how complicated it can be sailing/crewing on bigger boats. When race sailing, the crew has to be a team and focus on their specific assignment. When doing this you sometimes miss the big picture, the pure joy of sailing. Some would argue this point and that's ok. To me the pure joy of sailing is tiller and main sheet in hand with the wind in your face. You do not worry about spinnaker and pole, traveler, changing sails, etc. you are in touch with your boat and nature. You are close to the water and your every move makes a big difference how your boat preforms. Large boats are great fun but to get in touch with sailing I think nothing beat a small boat. I just received the March issue of Sail Magazine and the story from the editor "Peter Nielsen" speaks of this very thing. He said that big boats give you experiences you may never have on small boats but the same is true of experiences on small boats. When times are so complicated we need something that allows us time to step back, feel the wind in our face and hear the sound of your boat moving through the water. Where does this lead a sailor? 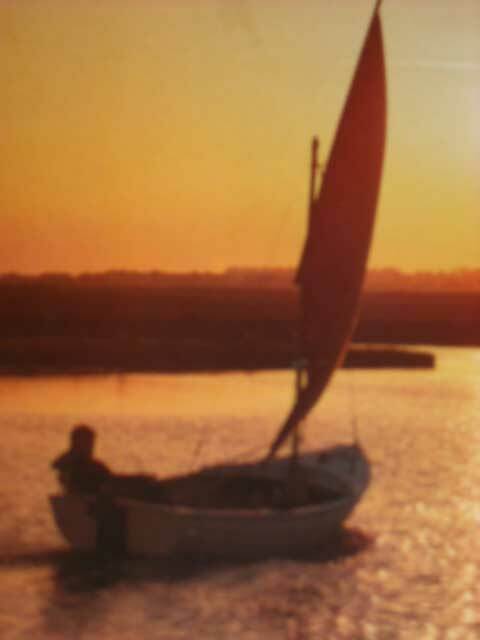 It leads me to small boat simplicity; both I and my sailing partner enjoy sailing our smaller boats. Here's to a good sailing year, keep sending in your stories.